Posted by Brittany Bosher on Wednesday, September 30th, 2015 at 12:10pm. Fall is finally here which means a number of things; the holidays are right around the corner, the weather is great and October is ‘Breast Cancer Awareness Month.’ During the month of October the nation embraces the affected, the survivors and those who have been touched by the breast cancer. People across America join in on the fight for the cure, with local fundraisers and events that bring in millions of dollars to aid in the research of breast cancer and a cure. Breast cancer is the most common cancer among women, second only to skin cancer. This year the U.S. will see about 226,870 new cases of invasive breast cancer in women, about 63,300 new cases of carcinoma in situ (CIS) will be found (CIS is non-invasive and is the earliest form of breast cancer) and About 39,510 deaths from breast cancer (women). Breast cancer doesn’t just affect those with the disease but also the families and friends of those diagnosed. Breast Cancer Awareness Month is an important and highly celebrated time in Palm Beach Gardens and the surrounding Palm Beach County area! We host a number of fun events all month long and it’s not too late for you to join in the fight. Local Palm Beach County events are plentiful. Coming to the Palm Beach County area soon are a number of fun events celebrating and remembering those affected by Breast Cancer. One of the most anticipated events is the “Blue Water Babes” Fishing Tournament in Jupiter. This fun and spirited tournament is comprised of female fishing teams and the local community coming together to raise money for the fight against breast and ovarian cancer. Come out to the Square Grouper Tiki Bar to join in the live auctions, contests and more. 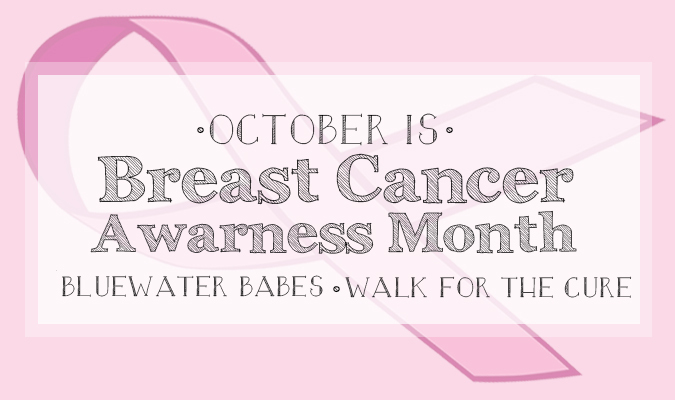 On October 17th in West Palm Beach at the Meyer Amphitheater is the “Making Strides Palm Beach.” On October 24th the walk in Boca Raton is at the “Making Strides South Palm Beach’ walk will take place at the Mizner Amphitheater. Local Walk for the Cure events take place all over the nation and all over south Florida, to find a walk near you please visit Making Strides for Breast Cancer. Join in the fight for the cure! By coming out to any of these events we can show our support and help fight against the disease that has affected so many! To learn more about National Breast Cancer Awareness Month and events in your community visit http://www.nbcam.org/.